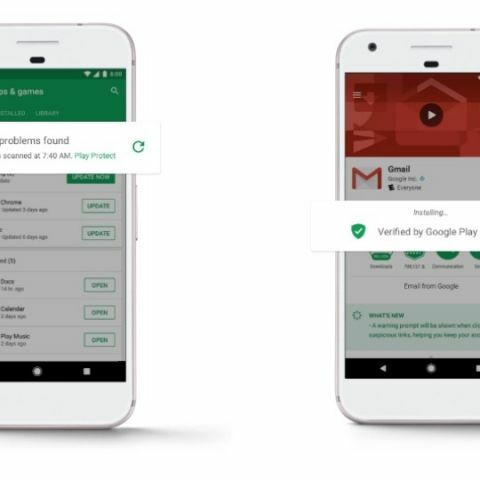 Google is asking apps to explain their permissions protocol, or risk them being removed from the Google Play Store. Google is reportedly contacting developers to ask for explanations on Accessibility Services that their apps use. While these services are usually used to enrich applications, many developers have also used Accessibility Services to offer newer controls and overlays on their applications. Google is reportedly sending emails to developers to explain what these services are being used for, or have their apps removed from the Play Store. “We’re contacting you because your app, BatterySaver System Shortcut, with package name com.floriandraschbacher.batterysaver.free is requesting the ‘android.permission.BIND_ACCESSIBILITY_SERVICE’. Apps requesting accessibility should only be used to help users with disabilities use Android devices and apps. Your app must comply with our Permissions policy and the Prominent Disclosure requirements of our User Data policy,” Google wrote in its email to developers, say reports. “Action required: If you aren’t already doing so, you must explain to users how your app is using the ‘android.permission.BIND_ACCESSIBILITY_SERVICE’ to help users with disabilities use Android devices and apps. Apps that fail to meet this requirement within 30 days may be removed from Google Play. Alternatively, you can remove any requests for accessibility services within your app. You can also choose to unpublish your app,” Google added. The move is of course an effort at improving security measures on Android. However, Google doesn’t go on to explain what security issues improper use of accessibility issues can lead to.